Dolly Wilde, in life, was like a character out of a book, even if it was never written…she seemed like someone one had become familiar with by reading, rather than by knowing. The study of Dolly Wilde belongs to a discipline that doesn’t exist. While nominally listed as a “socialite” in biographical entries, she didn’t entertain on a grand scale, patronise genius or pioneer new ways of living, so you won’t find her mentioned in social histories of the 20th century. Despite her wit and facility with words you will search in vain for a book by her, so she’s not a subject for literary history. Contemporaries never failed to mention her dazzling eloquence but her performances, it seemed, belonged to the moment. After her death, friends compiled a book called Oscaria, an attempt to capture her evanescent qualities, largely through fondly remembered anecdotes. But both this volume and Joan Schenkar’s 2000 biography Truly Wilde somehow serve to enhance rather than deconstruct the mysterious essence of their subject’s evident allure. So who was this elusive character? 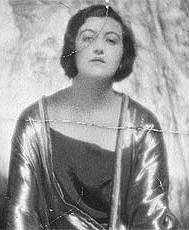 Dolly – Dorothy – was born in London in 1895; her father was Oscar Wilde’s brother Willie, a successful journalist in his own right. Dolly never met Oscar – he was already doing hard labour when she was born – but like her cousin Arthur Cravan she was immensely proud of her famous uncle at a time when his reputation was far from rehabilitation. She was the only one to retain his name into the 20th century; his immediate family abandoned after his fall from grace. 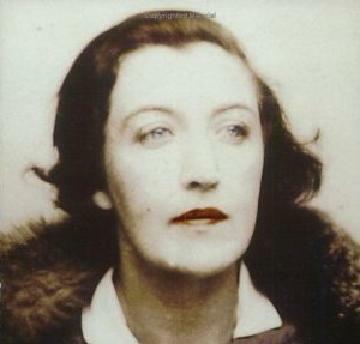 Wilde began her continental adventures as an ambulance driver during World War I, during which time she had an affair with the younger Joe Carstairs. It was an occupation ideally suited to the dynamic Carstairs, but represented a rare burst of activity for Wilde whose preferred theatres of engagement were the salon and the bedroom. Appropriately, then, it was to the company of Stephen Tennant, Brian Howard and the other Bright Young Things that she was drawn in the 1920s, sharing the group’s passion for parties, dressing up and hysterical chatter. While Cecil Beaton described her as “rather vulgar”, his portrait of her (main image) is one of the most glamorous of his early pictures. Without riches to free or anchor her, Wilde lived out her life in hotels and the houses of generous friends. After a brief affair with the silent screen star Alla Nazimova she met Natalie Clifford Barney who, as we have already seen, had met Oscar Wilde as a child. She was just as warmly disposed to his niece, who counted as one of her most enduring liaisons, much to the distress of Romaine Brooks, Barney’s long-time partner. 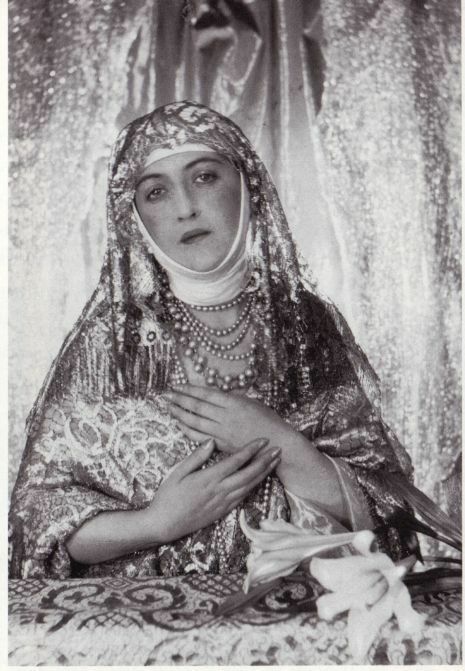 Wilde was a hit at Barney’s Paris salon, her sparkling wit apparently a direct inheritance from Oscar; Lady Una Troubridge said Dolly was “much the better man” in comparison with her uncle. Dolly played up the connection, dressing as Oscar for a party in 1930. This frustration, a condition which both sprang from and inflamed her insecurities, led to heavy drinking, excessive even by the generous standards of her circle, and eventually supplemented with a heroin addiction. The thirties, which many of her friends experienced as a hangover to the excesses of the previous decade, were particularly hard on Dolly. She had developed a sleeping draught addiction during one of her attempted cures and towards the end of the decade she was diagnosed with breast cancer, but refused treatment. While there had been at least one suicide attempt, when Barney broke off their affair and returned to Brooks, it’s not clear that Wilde was harbouring serious thoughts of self-harm as she retired to bed in her flat in London’s Belgravia on April 9, 1941. But the last of the Wildes was found dead the next morning, having overdosed on either sleeping draught or heroin, or a combination of the two. I can add to this history. Dolly had a fling with Michael Kirwan in 1916 and ended up carrying his child. Michael was already living with Sophie, but he persuaded Dolly to marry Vivian Bernard in 1917 (Michael’s adopted son) just 6 months before giviving birth to Barry Kirwan. She had another child (this time with Vivian) in 1919 – Terrence Kirwan. Barry’s birth certificate records that he was borne a ‘Wilde’ but his name was changed to Bernard and then to Kirwan in his early life. Both Barry (1917 – 1999) and Terry (1919 to 1991) had families. Although Dolly left between 1923 (when Michael diel) and 1927 and wanted to forget this episode of her past, and the family she left behind never wanted to acknowledge her due to her ‘lifestyle’, Dolly has liviving relatives. I am one of them – her grandson. I have a picture of her and a few of her possessions given to me by my father, Barry. My sister, her grand daughter is a living clone of Dolly. In that sense, I am very pleased to say that Dolly lives on. Can you think of a reason that all of the above might have eluded biographer Joan Schenkar in her otherwise very thorough biography of Dolly? I understand why you ask that question, and i did so myself. But, yes, there are very clear reasons. Joan’s biography was based primarily on a series of letters. Dorothy clearly had quite separate phases of her life and the letters only relate to one of those phases. There’s an important clue in Joan’s book. She refers to Dolly as a woman with no past and no history and says that she never spoke of her prior personal life with her friends in London/Paris. Dolly clearly wanted to keep these aspects of her life completely separate. The remaining family were just as keen to keep Dolly’s life secret too. They were trying to make their way in business in a world very different to our more tolerant society today. My mother has the documents which show my father was born a Wilde, but his last name was changed twice between 1917 and 1923 as part of that process. My Father told my sister several times that when Dorothy was with the family she was desperately unhappy and tried to commit suicide many times by drowning herself in the ponds that were in the grounds of the house. My father must have been very young then and these must have been very compelling childhood memories. My father was brought up almost entirely by the family maid (Nellie). What is incredible is that Dolly’s grand daughter, my sister Felicity-Ann, is the living clone of Dolly. The likeness is so close that it’s hard to tell them apart in photos of them at similar ages. My sister has the picture of Dolly that my father carried in his wallet until the day he died – and I have a copy of it. my intention is to get in touch with Joan to discuss this with her and share the photographs and documents. It might help add another chapter to her excellent work. Not sure how to do that, but when I have some time I’ll make a start on tracking her down. Well if there’s documentation to back it up, it sounds like a fruitful line of inquiry. Keep us posted! I passed this conversation on to Ms Schenkar yesterday. She sent a reply this AM. If there is a way Nick will furnish his email to you I will send it to Joan, She is indeed willing to appraise the story and the evidence. One thing that occurred to me after my first bout of enthusiasm and she also registered in her response is the timeline. Dolly was in France driving an ambulance and having an affair with the ever inquisitive Jo Carstairs duriing much of the time Nick would have her in Britain. That seems to be a problem, not insurmountable, but an issue nevertheless. This messy situation however seems like classic Dolly! Well Nick can pass on his email if he wishes. Pardon my skepticism but I have been offered information before which on further investigation turns out to be a dead end, usually at the point when the provider of said information goes quiet. Still, I keep an open mind and would never stand in the way of genuine inquiry. Thanks James. I am naive to a fault about these things. It is truly an achilles heel for me. I have always been a good boy scout–thrifty, clean, courteous,kind etc,etc. I do not understand people. I could feel your utter skepticism about this. I was overtaken by ‘story’ here. And what a story! Dolly as Mater, Mommy Undearest! On another matter. 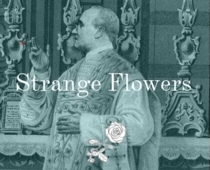 There is a book you might not have seen yet. “All We Know”, written by Lisa Cohen. Tripartate in construction ,concerning Esther Murphy, Mercedes de Acosta and Madge Garland. It is manna from heavan. You will think Lisa wrote it just for you. Be well dear James! HI James and Hi Nick! This is amazing and I am thoroughly stunned. When I read Joan’s Bio of Dolly I was so completely taken with Joan’s incandescent prosodic energy that I absolutely had to tell her how much I loved her book. I have a talent for finding writers when there is a need. I tracked Joan down in the space of an hour. She was in a small swiss village doing research for her upcoming bio of Patricia Highsmith. We talked for the best part of an hour. Joan is beyond brilliant and is more generous than she is brilliant. I love her dearly. We stay in touch. She lives half the year in Paris and the other half in Manhattan. Nick your news is BIG news! How can I hook you guys up? Nick’s story sounds feasible. Other lesbians had affairs with men, such was the case with Romaine Brooks who handed the infant over to nuns. Elizabeth Eyre De Lanux, described as bisexual, had one child, but hardly had time for her daughter but had time for Natalie Barney. I would love to see a photo of Nick’s sister to see the resemblance between her and Dolly. Do keep us all posted. Is this thread still alive? If so, worth mentioning that Joan Schenkar’s work, brilliant though it is, is a pioneering work and there are elements of Dolly she will understandably have missed. And unless, I’ve missed it myself she neglects to mention that Dolly was employed by British Vogue in at least 1923. This via Dorothy Todd (editor) and Madge Garland (fashion editor) who were openly living together and both acquainted with Natalie Barney’s circle. In her ‘For All We Know’, Lisa Cohen has a group photograph of Vogue’s staff taken in 1923 and Dolly takes centre stage.